Intimate San Ysidro Ranch Wedding by Lacie Hansen Featured on Snippet and Ink! The couple met in a Piano Ensemble music class in college. Why did you choose this location for your wedding? 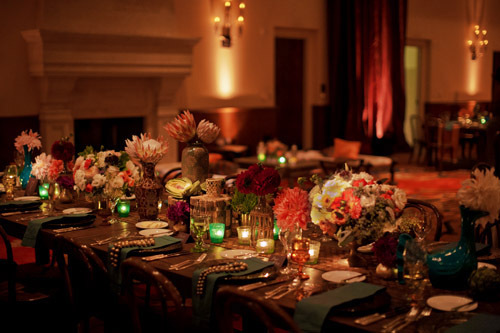 San Ysidro Ranch is the most beautiful venue in our opinion. The food, wine list and ambience is exquisite. Is there a standout detail or any surprises from the day? We had no idea it would rain the entire day of our wedding, but it truly made everything feel that much more special. Everything was perfect, from the flowers to the photographer/makeup artist and we wouldn’t have had our wedding any other way. Do you have any budget tips for other brides? Initially, we planned on renting the lavender field for our ceremony at SYR but decided to use the Old Adobe Room instead. The Old Adobe Room only cost $400 for six hours. A total steal! 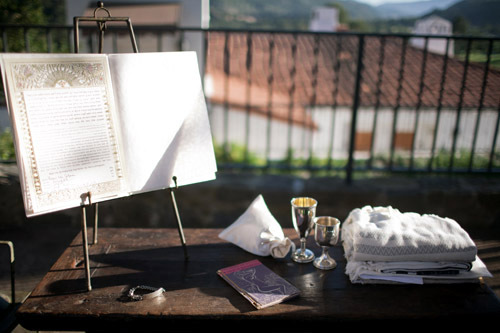 Did you include any traditions in your wedding? We used olive branches as a unique symbol of blessing as we are not religious. Our guests bought us, “something blue” gifts and we spent the morning getting ready in separate locations which made the first look a beautiful moment. See more of Lauren and Ian’s rainy day elopement in the gallery. A big rainstorm may have drowned Miranda and Matthew’s plan for a 70-degree Santa Barbara wedding day, but it certainly didn’t damper the festivities. 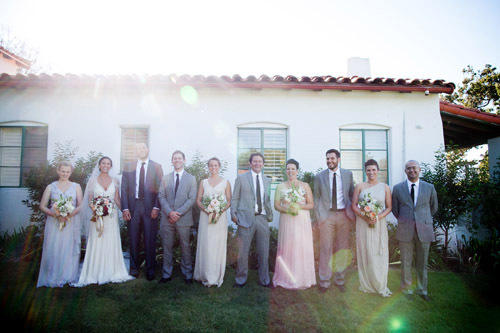 The couple still gave guests a fabulous—albeit windy—time beachside at the Bacara Resort & Spa. The strong breeze only added to the ethereal Kenneth Pool gown Miranda wore, blowing the gauzy tulle skirt in cloud-like swirls and she and Matthew said “I do.” The elegant bouquets by Blue Magnolia Floral & Event Design are classic, especially with navy bridesmaids from J.Crew, but we really love all of the lush greenery and rose garlands strung across the aisle and scattered around the reception room as well. Bacara Resort & Spa provided a yummy dessert spread, with a two-tiered cake trimmed with silk ribbon crowning the center of the table. We can tell from these images from Kirsten Ellis of Beaux Arts Photographie that this was the perfect prelude to a fun life together—see all of the amazing images in the gallery! Perfect Wedding Day Skin Featured on Style Me Pretty! Perfect Wedding Day Skin from TEAM Hair and Makeup + A Workshop Giveaway! Making sure you’re bringing your skin A-game to your wedding day is on most Bride’s to-do list. It’s probably on most Bridesmaids’ to-do lists too. Because we all know the best accessory is a fresh faced glow and our resident beauty expert, Mar of TEAM Hair and Makeup, is giving you all the low down on achieving the look. Consider this your secret weapon for wedding day hotness. Be sure to exfoliate your skin (gently please) using items from your kitchen! This is an all natural, simple way of getting all the dead skin cells to take a hike! Do this 2 times a week. Take a tablespoon of sugar, add 4 tablespoons of water and mix. Wet your face with cool water and use the sugar scrub to gently massage your skin. Rinse, and you’re done! Apply moisturizer. Some of my favorites are good old fashioned Ponds Cold Cream. This is the kind our moms use to use! And I also love Kiehl’s Ultra Facial Moisturizer. Remember: moisturizers are meant to trap moisture in your skin so spending big bucks doesn’t always mean big results! If you are looking to rehydrate then definitely ask your esthetician for the best serum for your skin type. Serums will penetrate more layers of the skin. I happen to love Phytomer Oligoforce and Kate Sommerville Quench Hydrating Face Serum. Always use a primer or barrier cream to create a flawless finish, prior to foundations. Apply primer to your skin before any makeup is applied. Be sure: to layer your serum first, moisturizer second and then primer. A popular type of primer is now available to the public, called BB Cream. All products are not the same so here are my recommendations for the best BB Creams and this is coming from someone who has used them all! Maybeline BB Cream adjusts to your skin tone, has a rich primer great for dry skin types and is very affordable. Another fav of mine is Two Faced tinted Beauty Balm and this one has SPF, great for oily or combination skin types. We are definitely sticking this 1,2,3 combo in our makeup bag for safe keeping. And while we’re talking about the fabulous Mar, TEAM Hair and Makeup is hosting a Teach & Play Beauty Workshop that is not to be missed. Catch all the details below and mark those calendars ladies! MGM Grand Signature Suites, during WPPI! To Enter: The first person to email their favorite lipstick color to info[at]teamhairandmakeup.com wins the prize! 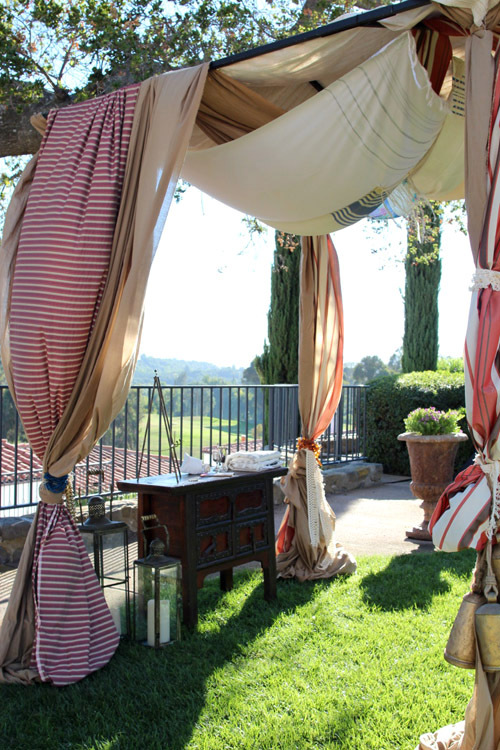 Montecito Wedding Featured on Santa Barbara Chic! 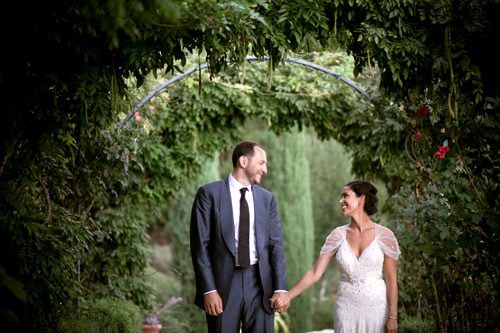 I love a simple, and modern wedding, and this one held at the Monastery in Montecito, with its citrus and succulents decor, and small guest count (just 45 guests!) is right up my alley. 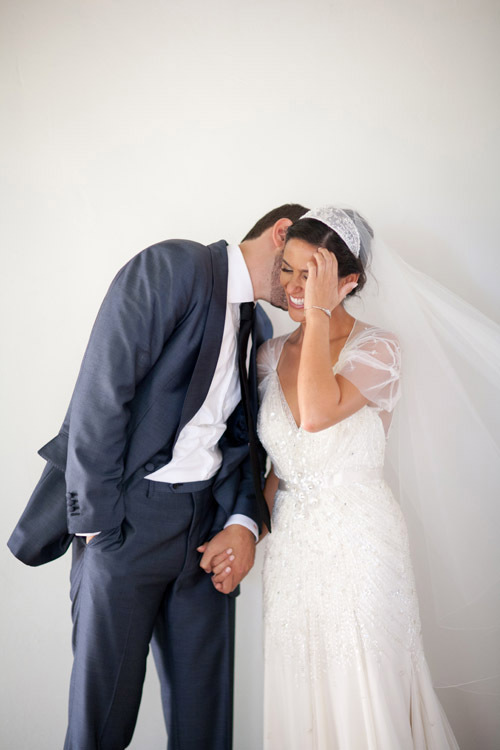 The bride wore a classic strapless gown by Va Lena Valentina. 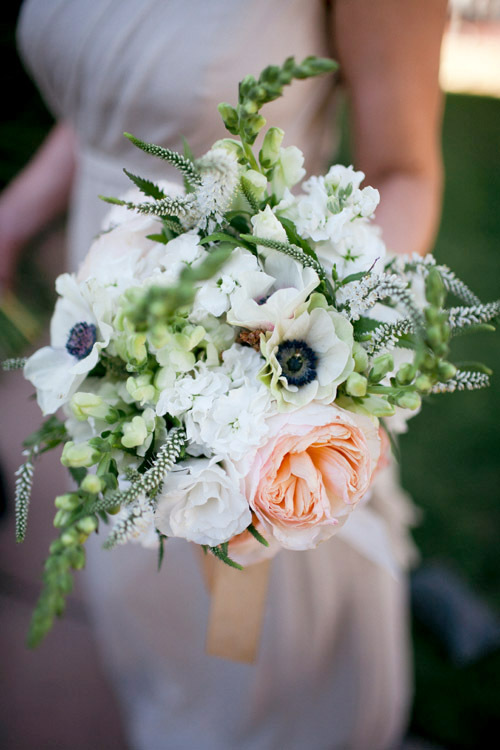 And carried a bouquet with succulents, dusty miller and ranunculus designed by Blue Magnolia. The 3 bridesmaids wore simple purple dresses. The groom looking dapper in a Jonathan Behr Bespoke suit. 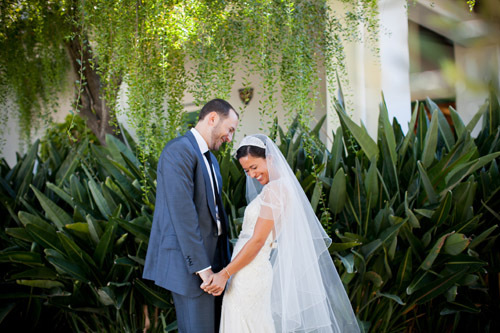 The wedding was held in the garden of the Monastery, high above Santa Barbara and featured ocean views. 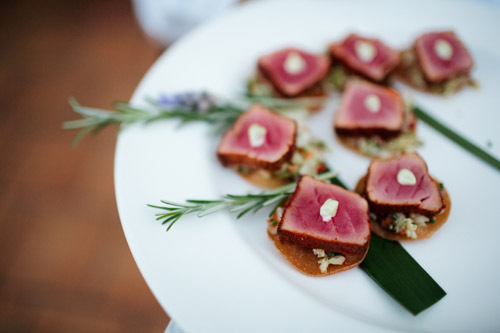 Instead of a formal sit down dinner, the couple chose to throw kind of a cocktail party, with tray passed appetizers and a buffet of goodies for guests to enjoy. 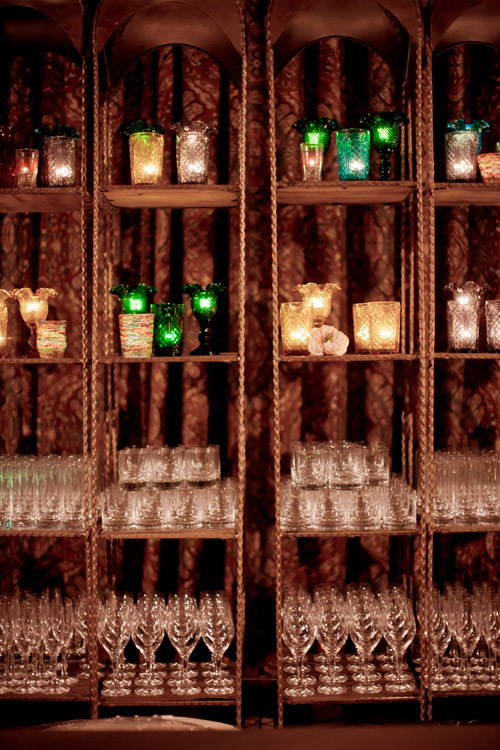 Decor was kept relatively simple with bonsai and citrus trees taking the starring role. 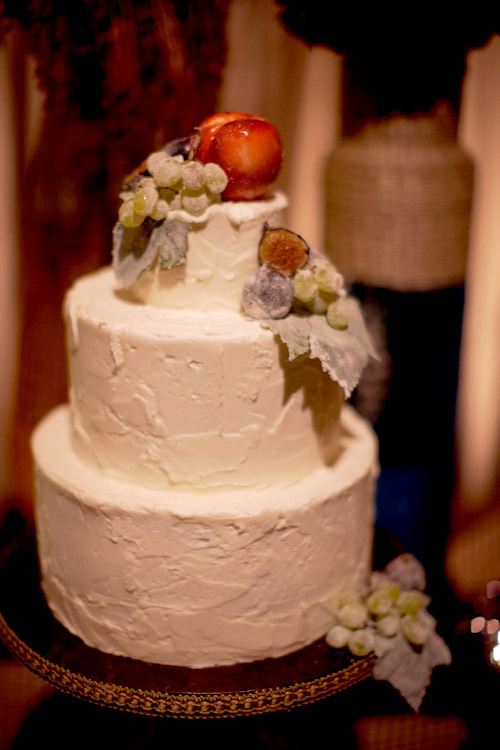 The cake, by Christine Dahl, was decorated simply with buttermilk frosting and fresh citrus. 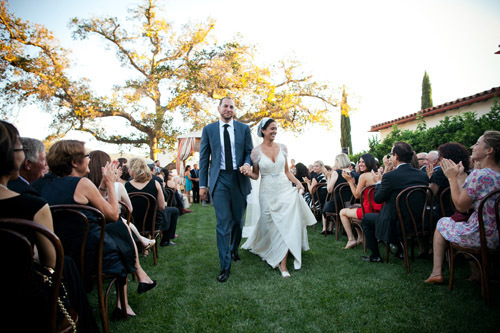 Thank you to Patrick Moyer for sharing this simple, but stunning wedding with Santa Barbara Chic! 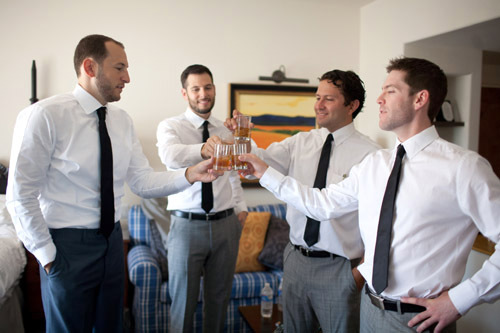 Stow House Wedding Featured on Santa Barbara Weddings! 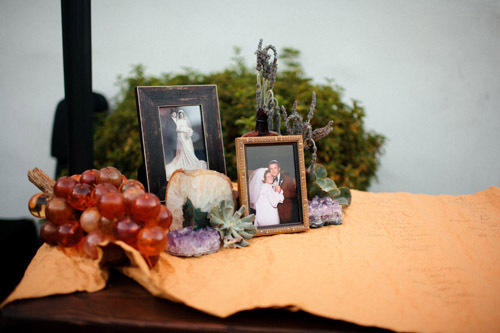 Bohemian Ojai Wedding Featured on Junebug Weddings! There is nothing like the texture, depth and creativity of a wedding planned by the team at Kristin Banta Events, and Rachel and Brye’s beautiful Bohemian styled wedding at Ojai Valley Inn and Spa is the perfect example of that! The couple worked with Kristin and their other talented wedding professionals to create an event that was meaningful and authentic in every way. From the rich jewel toned decor to the creative tablescapes and Chuppah design, to the welcoming home-like atmosphere for their guests, it was perfection from beginning to end! What was your wedding color palette? I’m not really a color palette person, but I knew I wanted to go for brass, candlelight, jewel tones. We love everything from beige and pale colors to turquoise and blue, blood red and deep purple jewel tones. We were hoping it would look like a colorful amazing garden landed on us rather than any specific colors or themes being put together. 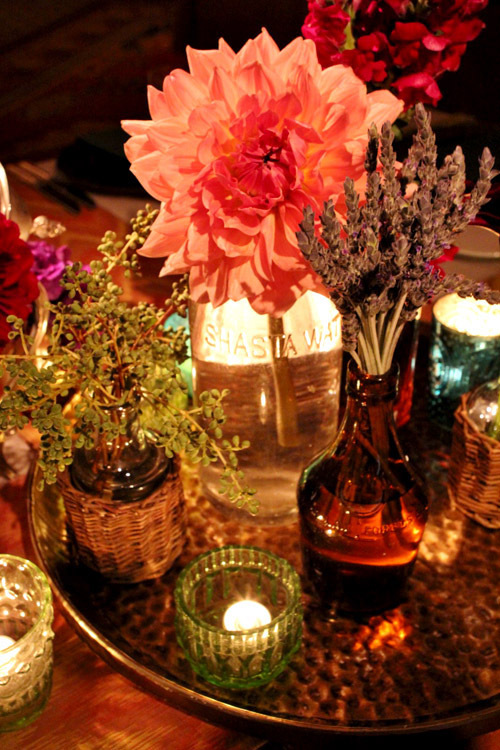 Was there a decor theme that ran through your wedding? 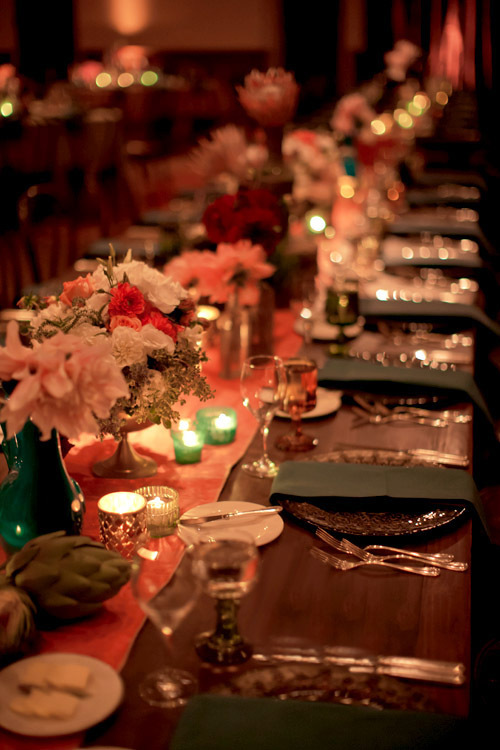 What were some of the different ways you used decor elements to create the beautiful, cohesive event you were envisioning? We wanted it to feel warm, worldly and somehow exotic and completely familiar at the same time. We wanted people to feel like they had just stumbled into an incredible party at our home that we were hosting – comfortable, luxurious and beautifully detailed, but totally accessible and fun rather than too formal or theme-like. Basically our wedding looked like our home would look in my perfect world. 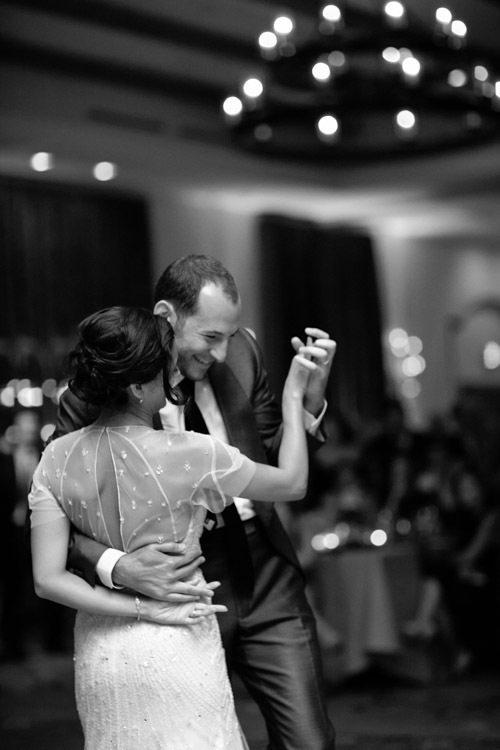 We incorporated personal objects and touches that we knew people would recognize as “us” – our heirlooms under the chuppah, serving our favorite artichokes and having them in the centerpieces, our favorite cocktail at the bar, and our favorite songs playing between sets and all night. 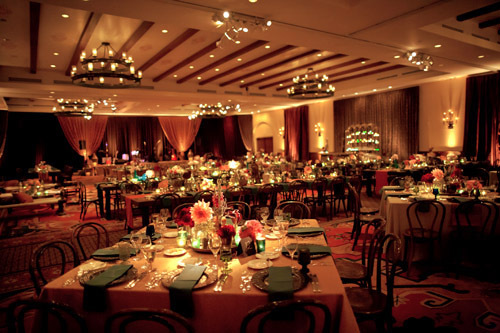 The lighting was meant to feel more like candlelight, and the flowers, candles and linens on each table were different so that everyone had a unique experience and could enjoy the room as a whole rather than everything matching. 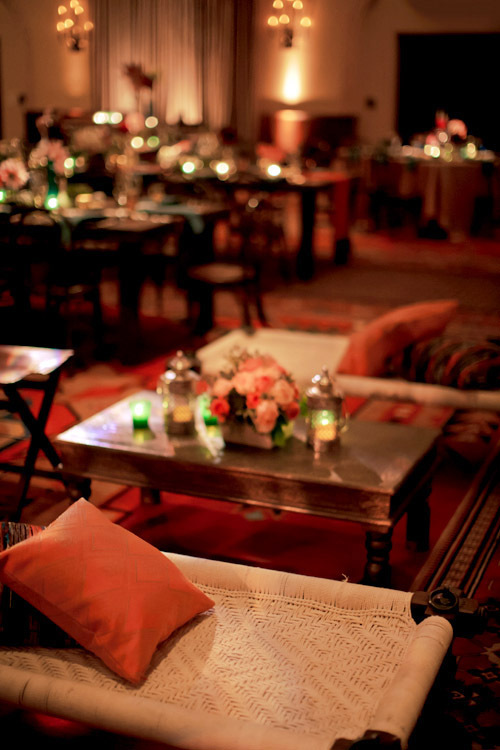 Guests were able to go to different tables and see different scapes and unique linens, and that made it somehow more personal and authentic to us. The food was really important too. We tried for a menu that was all about the food we love – delicious, but still rustic and not too complicated. We still hear from people how great it was. The hotel was incredible about the food – it’s one of the many reasons they are great at what they do. 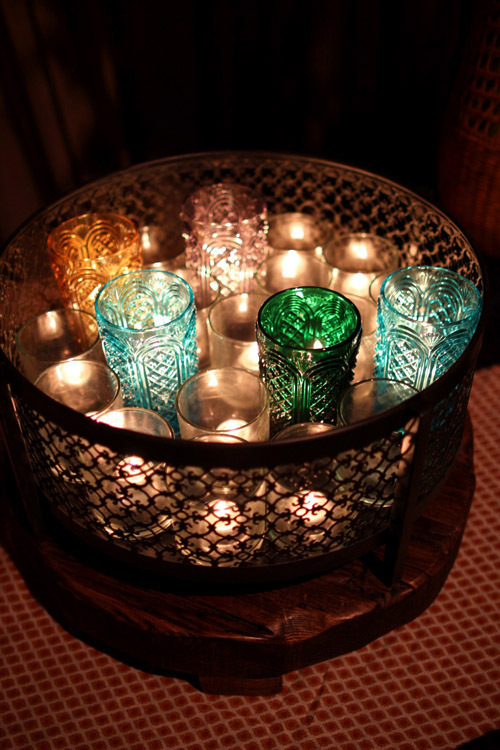 Looking back, do you have a favorite project or successful decor idea from your wedding? Tell us what you loved about it! First I would say that we really looked at the wedding in terms of what it meant to us, not just how it would look. We really took the time to choose the traditional elements that would make it more than just a party for us, but at the same time, we dropped the traditions or norms that didn’t feel important or authentic to us. 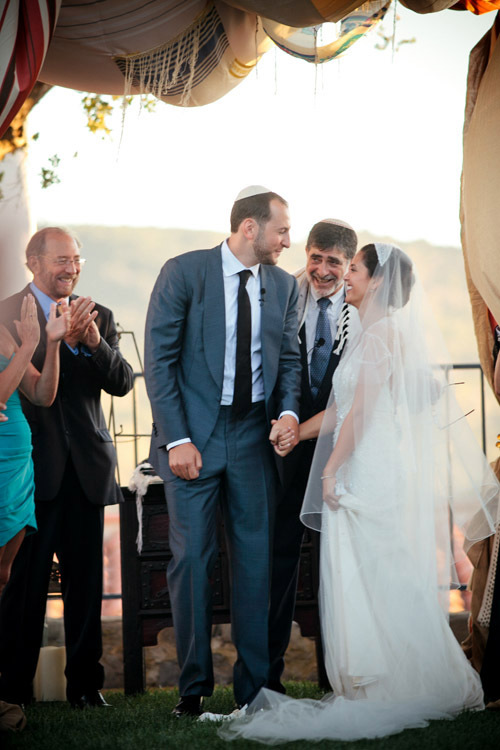 For example, we felt connected to many traditional elements of a Jewish ceremony, but we totally couldn’t relate to the idea of choosing a color to design the wedding around. 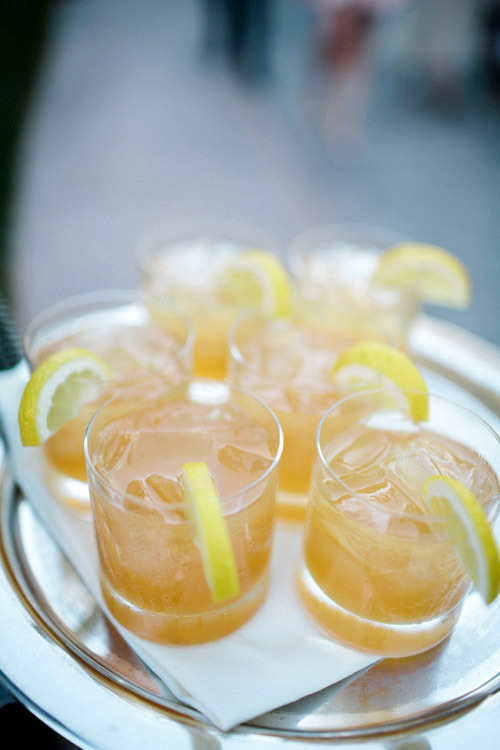 If you are hoping to do things your own way, definitely team up with vendors and planners who will support that. Kristin (our planner) was the first one to give us the green light on anything we wanted to do or didn’t want to do that wasn’t the norm, and that was awesome. It is all about the little details adding up. 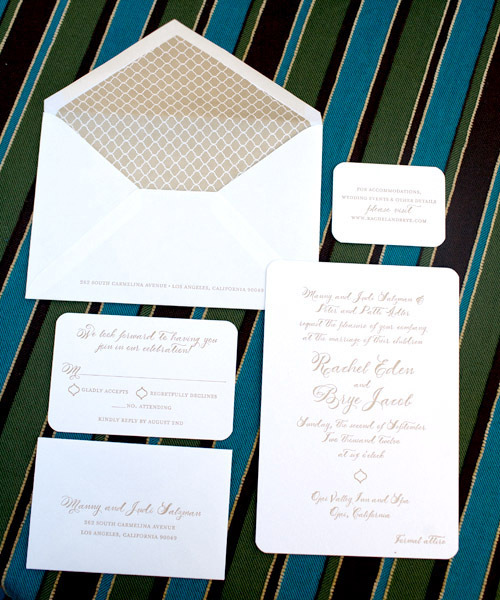 I am kind of a freak about paper and stationery, so that started for us with Save the Dates and the Invite which we hoped would evoke the style and tone that our guests would find at the wedding. One detail that was really important to us was the welcome note and snack bag – we wrote personal notes to each of our guests along with a weekend itinerary and a couple bags of almond rocha and trail mix made by close friends. It was a small gesture, but we wanted people to feel personally welcomed even if we didn’t have the chance to do it in person, and we wanted to set the tone for a warm, friendly and welcoming weekend together. It wouldn’t have been nearly as memorable a day if we hadn’t done things in a way that was special to us – there were many times we had to tweak the norm a bit to make something meaningful. The chuppah is the perfect example of that. 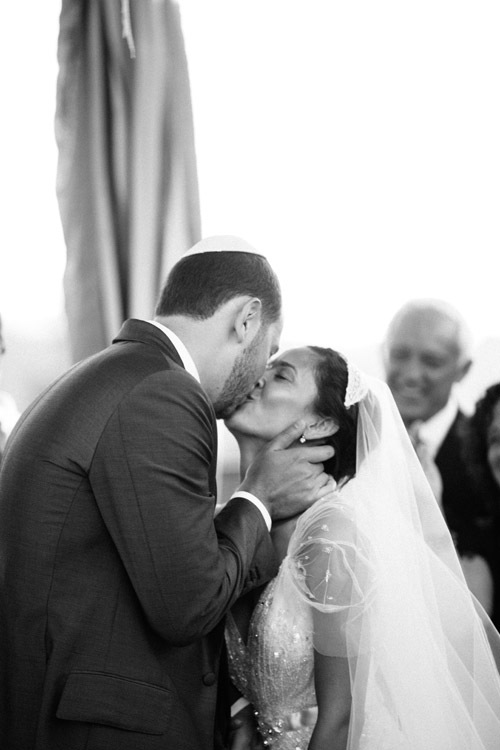 The chuppah turned out to be the most beautiful moment for us. We chose not to go with flowers or decor and instead used the talit (pray shawls) from our dads, grandfathers and uncles to create a symbolically and aesthetically amazing canopy. With us inside we had objects that mean a lot to us, such as books and jewelry from family members no longer with us, and of course we were surrounded by our closest friends and family. It was just a completely perfect way to show on the outside what we were feeling on the inside, and it really set the tone for what we wanted to share with our guests. I also have to say that the music situation was the best thing ever. We had a “real” band play and they know my brother and his wife. I had requested that my brother and his wife surprise the groom and entire crowd by joining them onstage and the crowd went wild. Having an amazing band was like being at a concert all night long – I only wish the pictures could play music so you could hear! Also, we were really intent on putting together specifically ordered playlists for the band and for the dj between the sets. Music is so important to us, and to creating a sense of vibe, memory and nostalgia, and we are still listening to the wedding soundtrack all the time. Lastly in terms of decor, our decision to play on the beauty of our surroundings rather than to alter it to fit our tastes was huge. 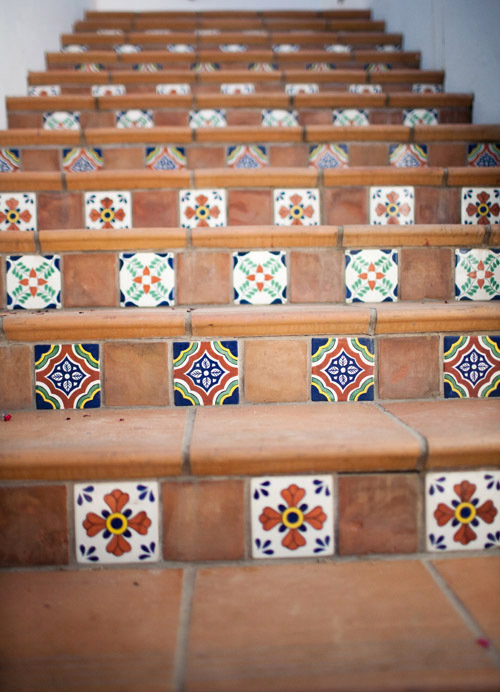 The Ojai Valley Inn has this incredible Spanish, California/Mediterranean vibe and while we were totally afraid of the carpets in the ballroom when we first saw them, they ended up looking like they were designed for our party by the time all the linens and lighting were in the room. What piece of advice would you give to a bride planning her wedding today? I would consider the idea that you can be a guest at your own wedding. Plan now, obsess now, freak out now sure, but set yourself up to be able to checkout on the day of your wedding and attend from the perspective of everyone else joining you there. If you are genuinely present and enjoying yourself, the party will be that much better for everyone and you might actually be able to hold on to it – it goes so quickly! Thank you so much Rachel and Brye! Your wedding could not have been more amazing!